WIDOWS: The Disparate Criminality Of Men And Women | Birth.Movies.Death. This article contains spoilers for Widows. It should be no surprise that the writer of Gone Girl and the director of 12 Years A Slave have social inequality and the status of women on their minds based on their previous work, but when Gillian Flynn and Steve McQueen teamed up to make an adaptation of Lynda LaPlante’s heist novel Widows, the result, at first glance anyway, is simply a more politically charged take on the source material. Rather than make the story just about women in over their heads trying to survive the consequences of their husbands’ criminal lifestyles, Flynn and McQueen wrapped that criminality up on local Chicago politics and expanded the scope of the narrative to be about corruption and greed in an institutional sense. It’s a change that initially feels unnecessary – it certainly balloons the cast of characters to an almost untenable size for a two hour film where many of them don’t share scenes – but it’s also a calculated and philosophically rich choice that serves as a primer for how McQueen and Flynn view the gendered realities of criminality. Take, for instance, Jack Mulligan (Colin Farrell), son of the sitting alderman (Robert Duvall) and heir apparent to the elected position. He is the successor to a historical and near-literal patriarchy, holding power through gestures of goodwill towards the citizens of his district, like the program to provide loans to women of color business start-ups, that ultimately mainly serve to reinforce his wealth and control, as he does by strong-arming the profits from those businesses for his own gain. Compare this to Mulligan’s political opponent for the alderman position, Jamal Manning (Brian Tyree Henry), who on one level is an altruistic man, wishing to pull his community out from under the thumb of the Mulligan dynasty, but has achieved his power through criminal violence of his own, distinct from Mulligan’s tactics only in terms of legally recognized criminality. Both men are the apparent leaders of their community, in respective official and unofficial terms, and they both achieve and retain their power by disserving their communities and exploiting those subject to them, particularly women. This is why Manning threatens the (supposedly) recently-widowed Veronica Rawlings (Viola Davis) to collect on the debt her husband Harry (Liam Neeson) created in stealing from Manning. Veronica’s only power has always been in her husband’s criminal reputation and the protection and wealth that afforded her, so now she is the prime target for Manning to exert post-mortem revenge against a criminal rival and take back what was stolen from him. But even though she has never had to confront such extreme circumstances that would breach the wall between Harry’s crimes and her gains from those crimes, Veronica has the strength to forge forward and, with her now limited resources, follow in her husband’s footsteps to pull off a heist and save herself from Manning. She at first tries to go about this in a threatening way reminiscent of the male leaders we had seen up to this point, bullying Alice (Elizabeth Debicki) and Linda (Michelle Rodriguez) into joining her with the carrot-and-stick incentive of a big payday versus having their names given to Manning for further collections. But much like Veronica, it soon becomes apparent that these women also need to create their power from nothing. Linda was a small business owner whose husband defaulted on their lease payments, leaving her without income or any transferrable life skills. Alice was a perpetual victim of domestic abuse under her husband, and now resorts to prostitution to make ends meet. And, as we eventually learn with the revelation that Harry faked his own death, Harry unjustly blames Veronica for the death of their son, as it is her blackness as a contribution to their son’s gene pool that was the impetus for his murder by police in a routine traffic stop. But despite those financially, physically, and emotionally abusive origins, the widows find their power in cooperation and empathy. Linda fails to discover the location of their heist’s target building, so Alice uses her influence with her architect john – who is simply using her as a dehumanizing means to sexual gratification in a power play of his own – to find the location herself. Veronica’s driver is murdered by Manning’s men, so Linda brings her children’s babysitter (Cynthia Erivo) into the loop, strengthening the team and providing a job to another struggling mother. And though she is resistant to this spirit of cooperation, Veronica realizes the value of these women as more than just means to an end, dropping off the bullet-wounded Alice at the hospital instead of letting her die as Harry did to his own accomplices in faking his death. This is the key difference between the criminal enterprises of the men and women in Flynn’s and McQueen’s Widows. Men are shown to have institutional and structural advantages in wielding power, wealth, and influence, and are focused on retaining that power and stealing it from one another in fatal games of greed. Women, on the other hand, must learn to forge their own power, sometimes with the scraps unwittingly left behind by powerful men, but often without anything but their minds and their determination. The reason Veronica is the ostensible lead of this ensemble is because her journey is in learning to not be like her husband. It’s no thematic accident that the widows’ heist is taking from the symbolic patriarchy of the Manning estate, and it’s no bit of sloppy plotting to have Harry Rawlings lurk in the background as a still-living ghost of Veronica’s past. In that final confrontation where Veronica kills her attacking, greed-maddened husband, she’s putting the final nail in the coffin of a past perception that any power she might gain is subject to the commands and limitations of the men who impose obligations and blame upon her. The epilogue of Widows shows us just what Veronica chooses to do with that power. As Manning wins the election but loses his father as a casualty of the heist, Veronica doesn’t take her newfound riches as a means to reinforce her power in the criminal community. 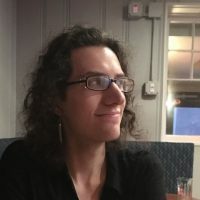 Rather, she does as Manning purported to do but never did: she gives back to her community, offering no stipulations except that the library she’s funding should be named after her murdered son. According to Widows, this is what women do with the power they must forcibly take, the result of female criminality when male criminality is only serving oneself and one’s privilege. And the final shot shows Veronica smiling for the first time in the entire film, confident that she has created a better life for herself and others, not in spite of, but because she had to break legal and societal rules to get there. 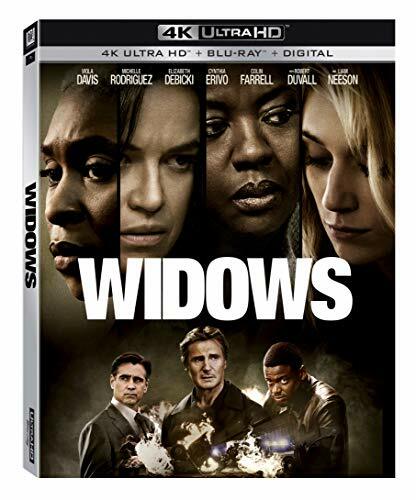 Widows is now available on 4K, Blu-ray, DVD, and digital.